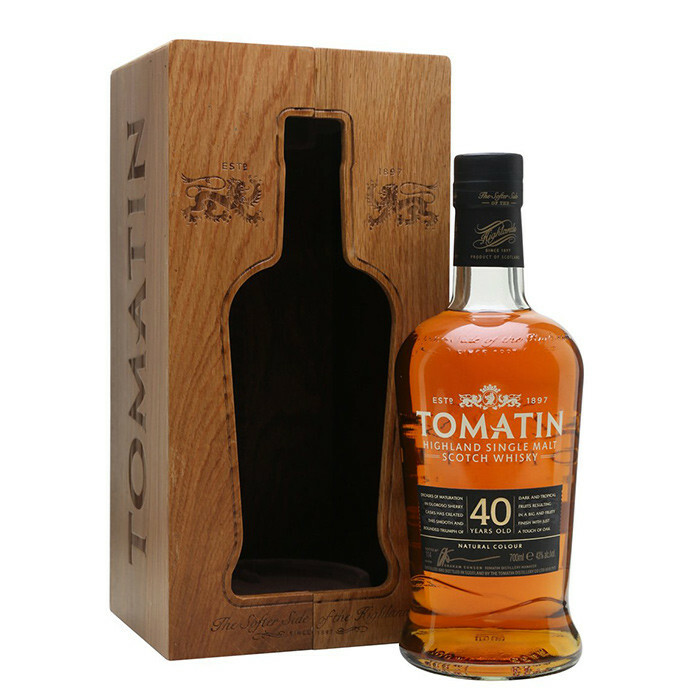 The oldest expression in Tomatin's range, the 40 Year Old Rare Casks is rich with an unctuous texture and notes of tropical fruit, paprika and sandalwood. Produced to only 600 bottles, Tomatin 40 Year Old is a complex whisky that's one to sip, savour and think about. Nose: Open, dry, treated valuable wood, old furniture, varnish, cigar box, pipe tobacco, cinnamon, lemon, dried fruits. Palate: Calm, saturated, oak, oiliness, lemon peel, lemon pepper, creamy notes. Finish: The continuation of taste, calm, soft, creamy oak, light notes of citrus.